I am now a supporter of the crowd-funded open-source project known as codebender. Codebender is a cloud-based Arduino IDE that provides the capability to edit, compile and upload your code to an Arduino from a web browser. The cloud based IDE implements clang which is a compiler that provides descriptive warnings, fast compile times, low memory usage and compatibility with GCC. In addition, codebender contains built-in highlighting, Arduino documentation, support for libraries and a serial monitor. Pledge $150 and you will receive exclusive access while the project is still in development, a monthly newsletter and an Arduino Ethernet preloaded with codebender’s (upcoming) TFTP bootloader. The bootloader will allow any Internet connected Arduino to be programmed through a web browser locally or away from home. 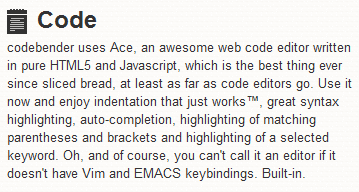 All of the sources for codebender can be found on the associated Github page. 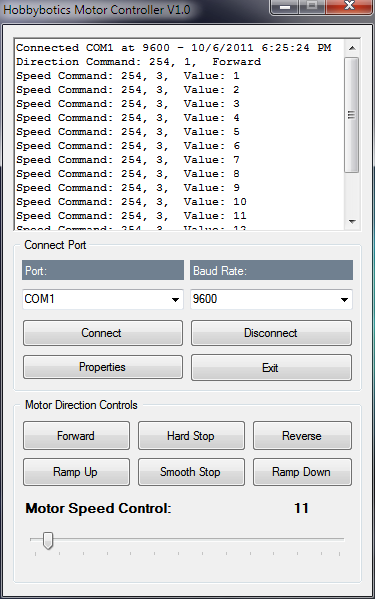 I wrote this application to test the Hobbybotics Motor Controller. This application controls the motor controller over the serial port by way of a micro-controller. Take a look at the project page for more details. You can find it here. I’m working on several projects that I want to include a voltmeter to monitor battery levels. One of the easier methods is to use a resistor voltage divider network and a zener diode to scale the input voltage to a value safe for the Analog-to-Digital (ADC) pin. 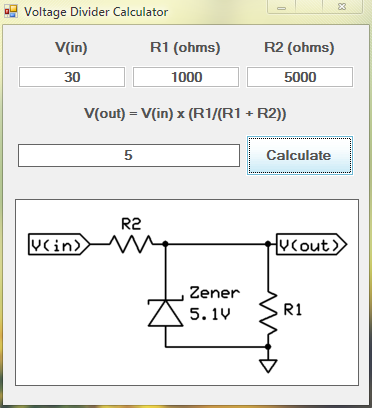 I developed a voltage divider calculator in C# to help me determine the correct resistor values for the selected voltage range I would like to measure. You can find it here. Adafruit sells a really nice touchscreen and shield for the Arduino (other microcontrollers welcome). They also provide a library for the Arduino that makes the touchscreen easy to use. I want to use the touchscreen to develop some custom menus but, found it difficult to figure out RGB color codes. So, I wrote a little C# program to take care of that for me. You can find it here.